I'm a glass half full type of guy. And lately I have been feeling better and better about the US because I see all these good, common sense things happening like #metoo. 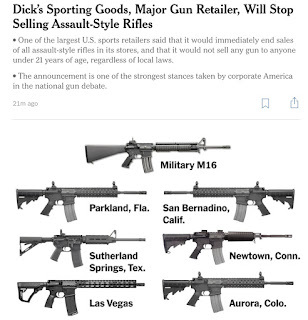 I woke up this morning feeling so much better because of the simple step taken by Dicks Sporting Goods.